Eradicating diseases, mastering flight, near-instant global communication, going to the moon—humans have developed a taste for making the impossible possible. Though we still face a daunting list of global challenges, we’ve learned that science and technology can uncover big solutions. But mind-blowing breakthroughs don’t just happen. They take teams of bright and dedicated people chipping away at the problem day and night. They take a huge amount of motivation, toil, and at least a few failures. To solve our biggest problems, we need people to undertake big tasks. But what drives someone to take on such a difficult, uncertain process and stick with it? It’s called massive transformative purpose or MTP. Setting out to solve big problems brings purpose and meaning to work—it gives us a compelling reason to get out of bed in the morning and face another day. The more we organize around massive transformative purpose, the harder we’ll work, the more dedicated we’ll be, the faster we can solve big problems—and maybe most importantly, the more fulfilled we’ll feel about the work we do. This article will explore ideas we’ve learned from some of our favorite big thinkers on what makes an MTP and how to find and implement yours. In 2014, Salim Ismail published Exponential Organizations, co-authored by Mike Malone and Yuri van Geest. In the book, the team analyzed the 100 fastest growing organizations and synthesized their key traits. 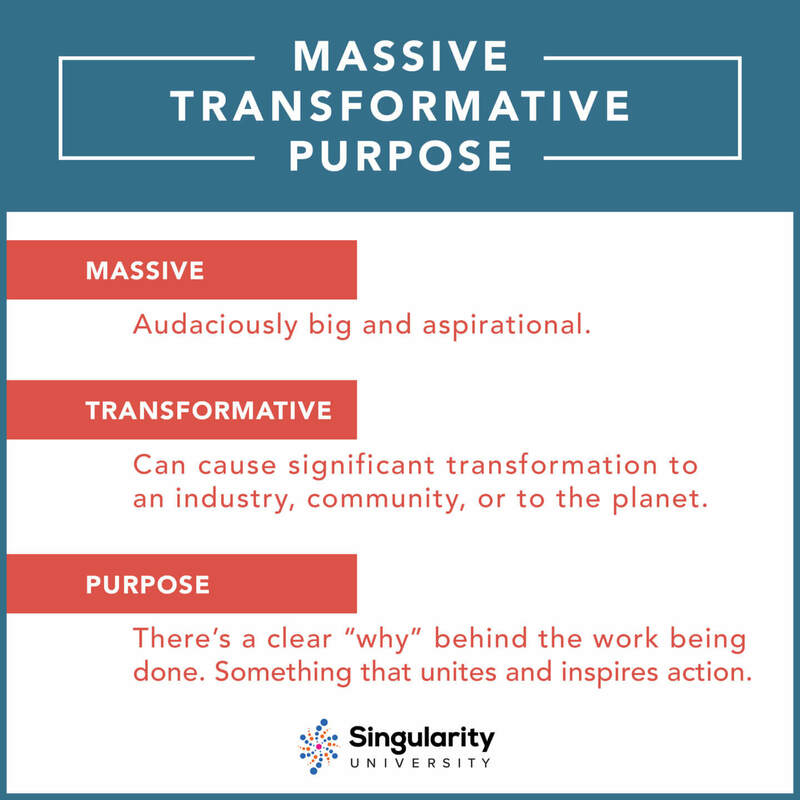 They discovered every single company on the list had a massive transformative purpose. In the simplest sense, an MTP is a “highly aspirational tagline” for an individual or group, like a company, organization, community, or social movement. It’s a huge and audacious purpose statement. Elon Musk and SpaceX are a good example for understanding MTPs. Musk didn’t found SpaceX to have a luxurious retirement on Mars or just for the sake of building the most profitable aerospace company. He’s driven by the belief humans must become a multi-planetary species. Making this a reality is his purpose. 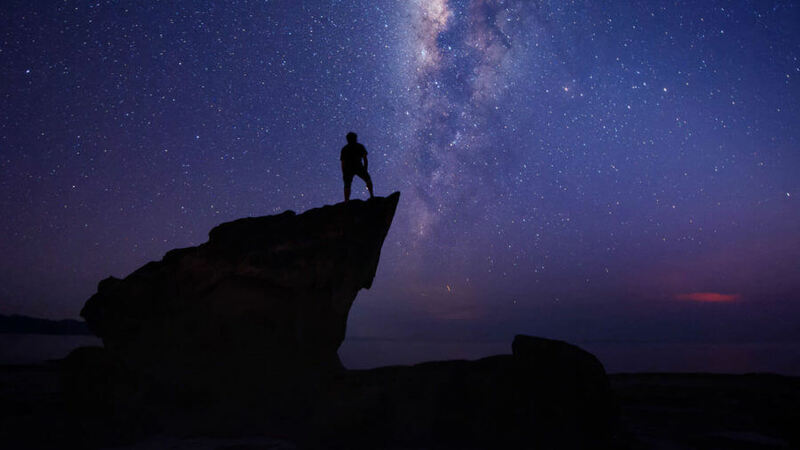 SpaceX’s MTP to revolutionize space technology and enable people to live on another planet creates a shared aspirational purpose within the organization. MTPs are not representative of what’s possible today; they’re aspirational and focused on creating a different future. This aspirational element is what ignites passion in individuals and groups; it’s what engages people’s hearts and minds to work together to realize their goal. SpaceX’s MTP does this so well that they’ve also activated a cultural shift outside of the company’s walls, which is a secondary effect of having a strong MTP. Other examples Ismail, Malone, and van Geest note in their book include the massive lines that form when Apple releases a new iPhone or the huge waitlist each year to get a seat at TED’s annual conference. MTPs can inspire whole communities and evangelists to form around them. As you read through these examples try to identify how each one fulfills each letter of MTP. Hopefully, this helps explain what an MTP is. But there are other kinds of motivating messages out there. What distinguishes an MTP from all the rest? Just a company’s mission statement. Technology specific or narrowly focused. Representative of what is possible today. Having an MTP can trigger incredible outcomes, which is why high-growth organizations all tend to have them. The aspirational quality of an MTP pushes teams to prioritize big thinking, rapid growth strategies, and organizational agility—and these behaviors all have substantial payoffs in the long term. As an MTP harnesses passion within an organization, it also galvanizes a community to form outside the company that shares the purpose. 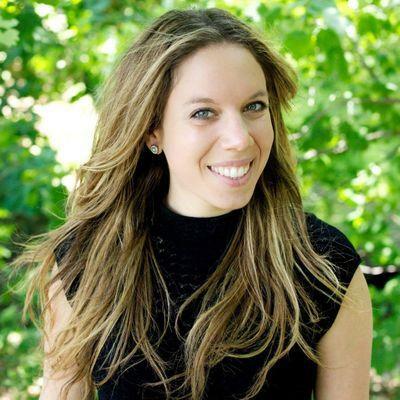 This sparks an incredible secondary impact by helping organizations attract and retain top qualified talent who want to find mission-driven work and remain motivated by the cause. Additionally, when people are aligned on purpose, it creates a positive feedback loop by channeling intrinsic motivation towards that shared purpose. Finally, like a north star, an MTP keeps all efforts focused and aligned, which helps organizations grow cohesively. As the organization evolves and scales, the MTP becomes a stabilizer for employees as they transition into new territory. Identify the who: Ask yourself who you want to impact. What community do you want to create a lasting positive impact for? Is it high school students? The elderly? People suffering a chronic disease? These are just a few examples of potential groups to focus your purpose towards. Step one: Write down the top three items you are most excited about or get you most riled up (that you want to solve). Step two: For each of the three problems listed above, ask the following six questions and score each from 1-10. 1. If at the end of your life you had made a significant dent in this area, how proud would you feel? 2. Given the resources you have today, what level of impact could you make in the next three years if you solved this problem? 3. Given the resources you expect to have in 10 years, what level of impact could you make in a 3-year period? 4. How well do I understand the problem? 5. How emotionally charged (excited or riled up) am I about this? 6. Will this problem get solved with or without you involved? TOTAL = Add up your scores and identify the idea with the highest score. This is your winner for now. Does this one intuitively feel right to you? Realizing an MTP requires a different type of thinking. It requires a mindset and work environment that leans into complex problems and dares to think big—really big. SpaceX isn’t where they are today because they focused on making 10% improvements to existing aerospace technology. And Google’s self-driving car isn’t the byproduct of a goal to make a 10% improvement to driving. 10% thinking leads to incremental progress, which doesn’t lead to making the impossible possible—like sending people to the moon. Through history, however, we’ve learned that radically big thinking can lead to these types of breakthroughs. You have the recipe for creating a massive transformative purpose to push you and your organization to the next level of performance and impact. Download a checklist for writing your own MTP, and share your ideas with us @singularityhub.